Next up is an Airplay speaker in which I did not know what to expect with little knowledge of the brand. I have received the Libratone Zipp, the unique Italian wool wrapped speaker that provides 360 degree wireless hi-fi audio quality through ribbon based tweeters, Digital Amplification and Signal Processing, topped with an active 4" bass driver. 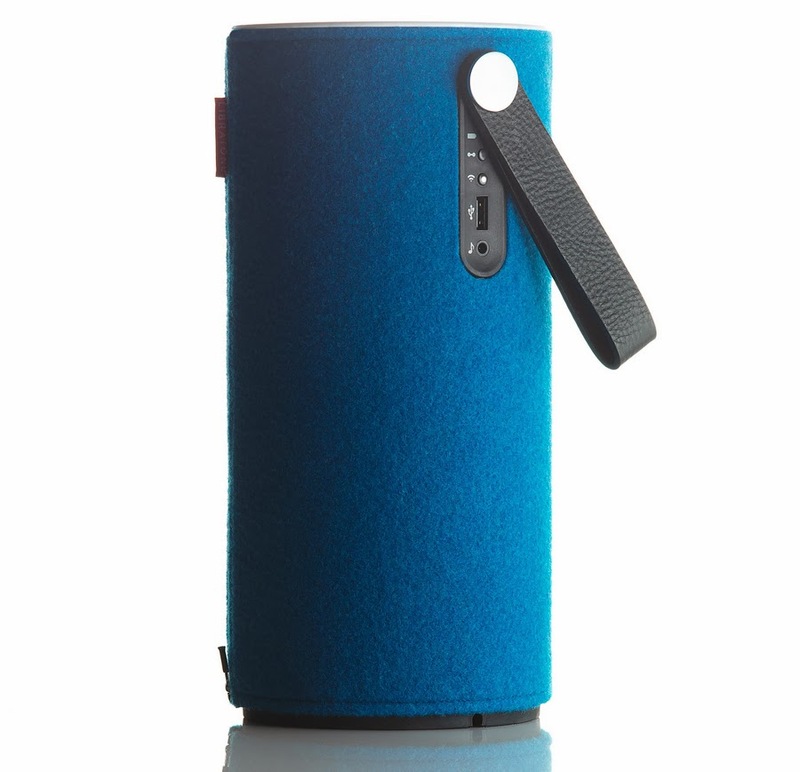 This big drink of water packs an internal battery for four to eight hours of wireless playback, USB port to charge wireless devices, leather handle for easy transport, and two additional wool wraps to change the color to match the environment. It is time to crank it to ten and see if it lives up to high end price range. Wow. 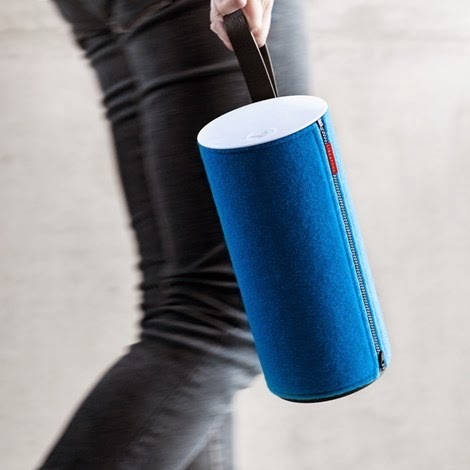 Like I said not hearing much about Libratone's other products made me curious, but minutes after tearing away from the box's clutching grasp, I was connected and was impressed. 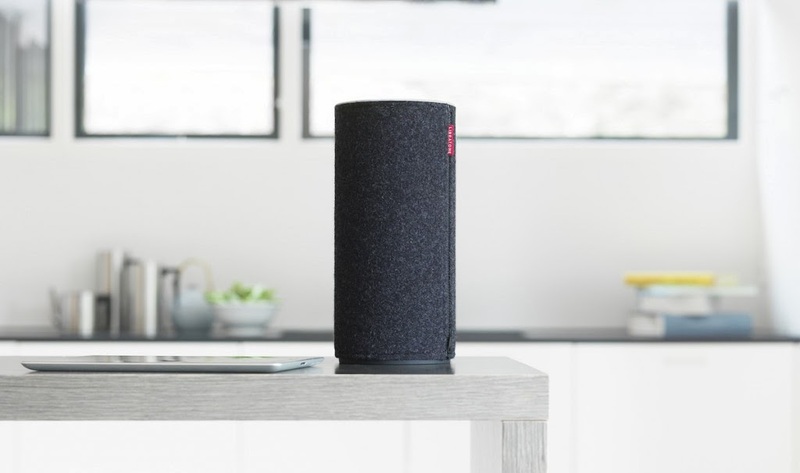 Libratone offers a sound app for the speaker to make sure the best sound is provided and to fine tune the powerhouse,and then I was able to set up sound profiles based on the room it was in and the distance from surrounding walls. The sound quality is top notch, crank it up and you can fill a house with music or a large backyard with no problem, but if you are in a smaller area or just need to tone it down a bit, a quiet mode is available, and because the connection is wireless there is no quality loss like that with a Bluetooth connection. The connections supported are Airplay, Play Direct to create a wireless network, and DLNA is supported so connection isn't limited to Apple devices. I was incredibly apprehensive of this speaker as they have gotten bigger but still lack deep bass or require a power source. The huge amount of sound and large spaces that this little wooly speaker provides made this beast flawless in my opinion.The wool covers were nice and easy to swap, but the additional colors I received were yellow and maroon, so I just stuck with black. With big sound you can expect a large price tag, but with that being said, even the big Bluetooth speakers I have recently reviewed can not hold a torch to the Zipp as the active woofer, tuning app, and 360 degree sound makes it well worth the $399.95 price tag.